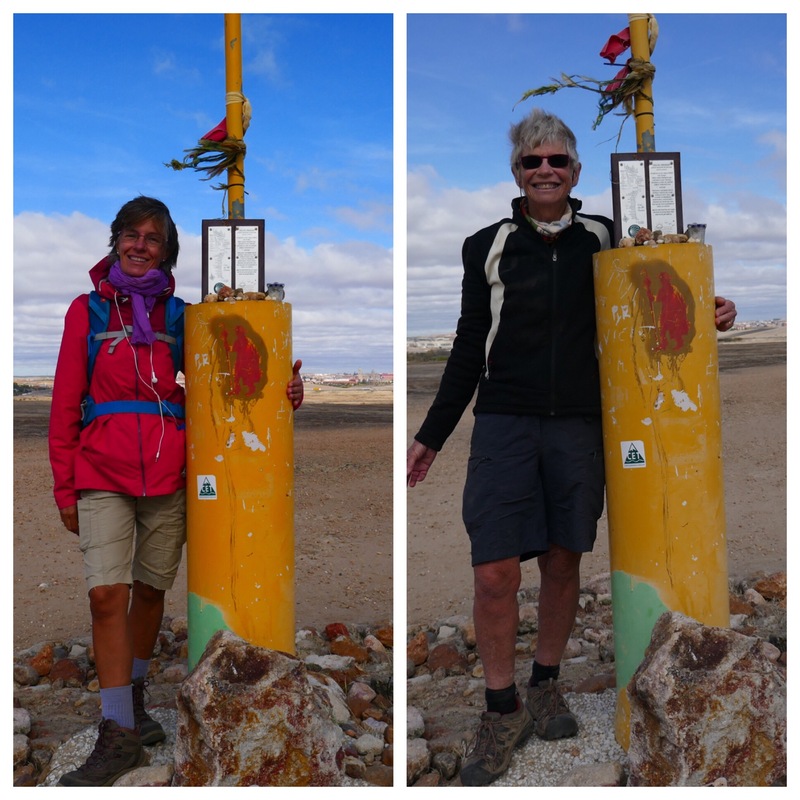 Walking was hard on Monday 30th October with a cold wind from the east crossing us. Felt like snow somewhere. I’m guessing not but it wasn’t my preferred temperature nor ideal conditions for my last day of walking this time in spain. 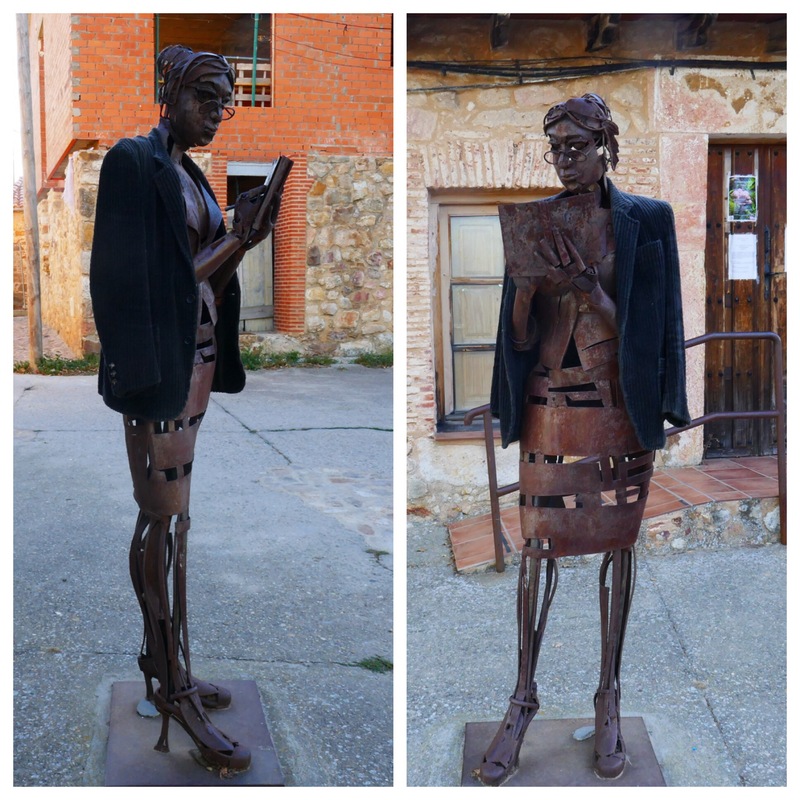 I did like the metal sculpture in a small town (with no bar!). And the jacket made ‘her’ a class act! The actual walk was about 24km but with no bars open we stopped for a picnic. 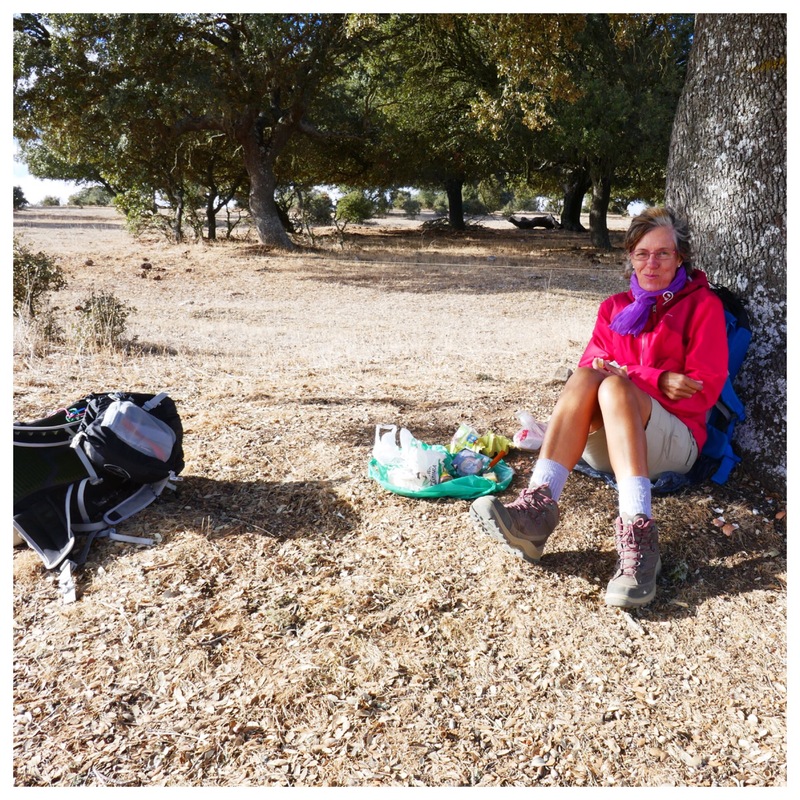 Definitely not our best as we couldn’t escape the wind for the last of our eggs (cooked about 3 days earlier, just pre-a-salmonella revival) and olives (a fellow traveller in my pack for about a week). The bread and cheese goes on waiting to be eaten on another day. Ugh. Amazing how long bread is sort of edible. Well, if washed down with chocolate milk! You know, of the 91% milk and 9%? variety. ‘Sort of’… No. Age doesn’t improve bread nor does travelling in a pack. Cheese is semi indestructible in the cold. By this stage the distal phalanx on my R index finger was turning black. The first of the 5 or 6 gates in this stage was very challenging. Clearly not assembled correctly I was contemplating climbing it. The spikes along the top put me off that and the adjacent fences were built by the same person. He clearly has a perverse sense of humour as all are high and topped by barbed wire. Only one option left to open the gate, brute force. If only I’d moved a certain finger away first! Oh well. At least it was worth waiting for V to arrive to get some sympathy. 😐 The rapid colour change proved I was deserving. I just needed a sling. Ha ha. Surprisingly it didn’t hurt, the cold saw to that. Give you an idea of how ‘un-ideal’ the day was? 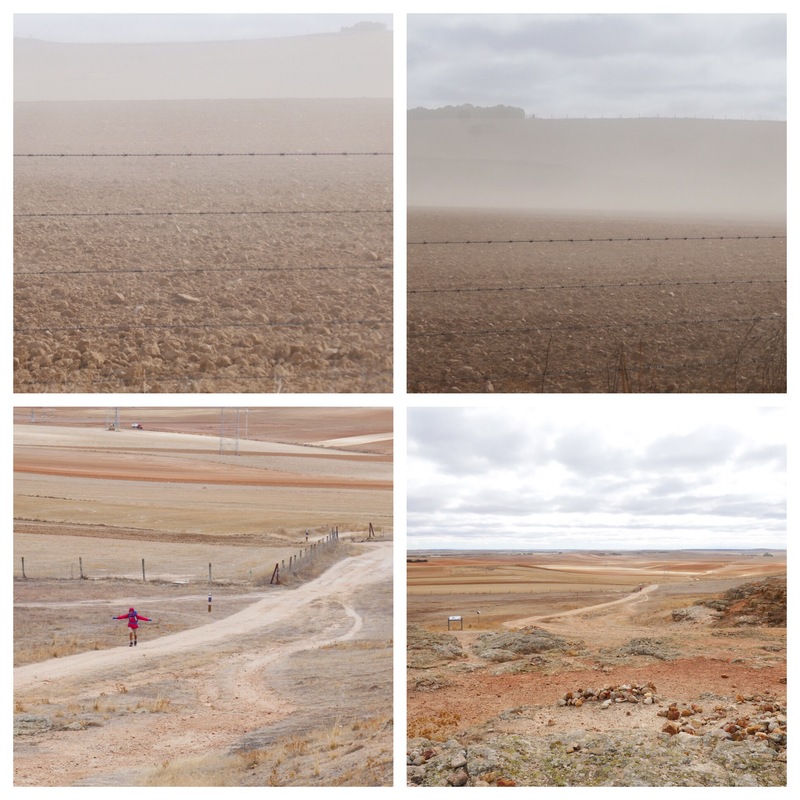 And then there were the intermittent dust storms, just before the cross on a hill overlooking Salamanca. Very unpleasant. I’ll swear I was wearing 1kg of dust by the time we arrived. The basin agreed as I later washed some clothes! We arrived and it was clear how tired V is. I don’t think she saw past the bath once we checked in. We were upgraded to a suite as I’d booked a twin but they didn’t have a twin. Let’s say, I wasn’t unhappy about being upgraded! I left V heading for the bath while I went to get coffee. Then I remembered the local cheesecake place. I was heading back and felt compelled to stop for a hot chocolate. Not my drink of choice so guess I’m pretty tired too. Not for lack of sleep. Clearly walking for a bit over a month has taken it out of me in a much deeper way. 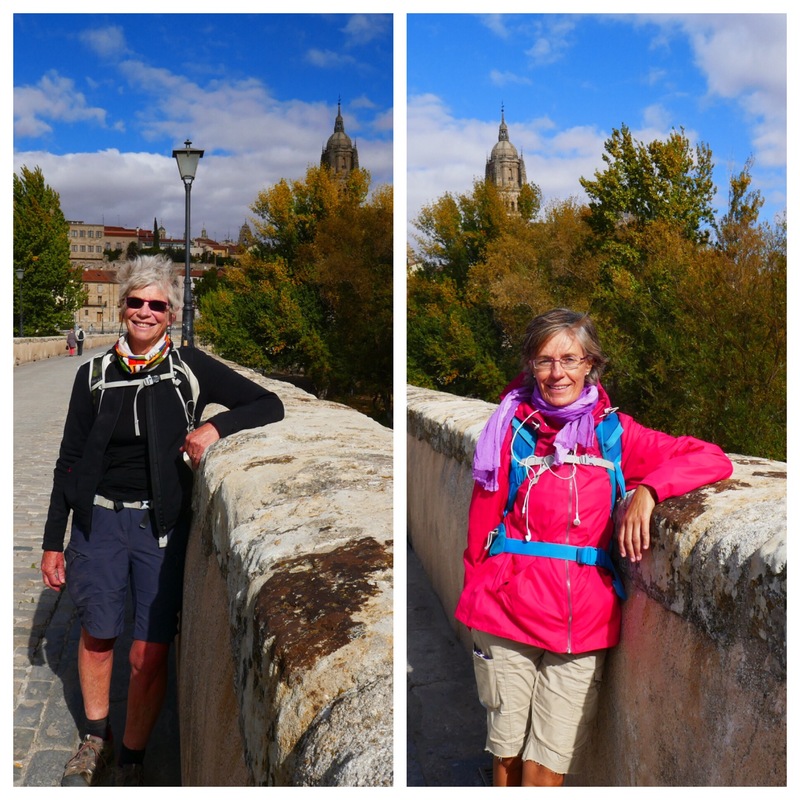 Later we have planned to meet Monica (French, speaks some english) near the Casa de Las Conchas – the house of the shells.